“Drownded.” The past tense of drown is drowned. You’re grownups. Figure it out. With a three-day weekend, my wife Abby and I are concentrating on rest and relaxation, but also are not neglecting our responsibilities. 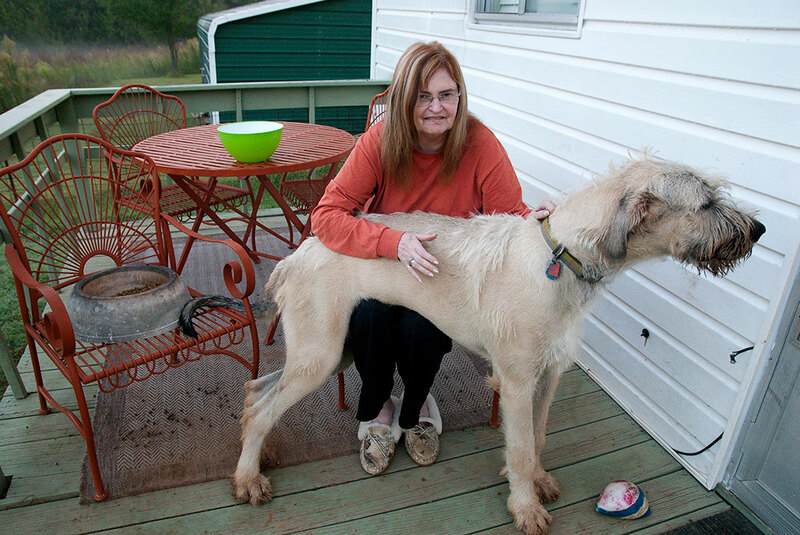 Abby feeds Hawken the Irish Wolfhound yesterday morning. Breakfast is their special time together. 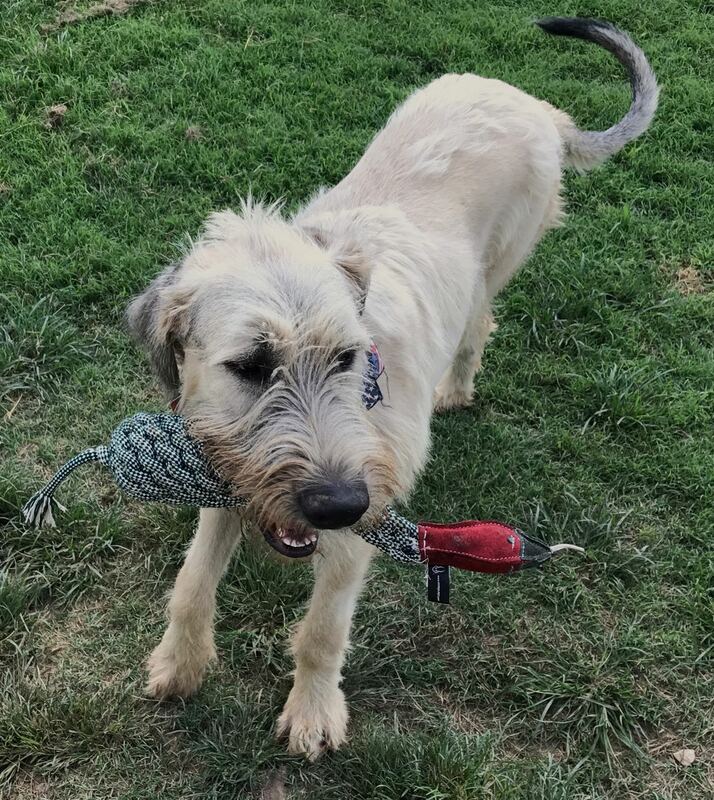 Hawken plays with his new rope-pheasant this week. He immediately chewed its head off and partially buried it. I’ve taken Hawken the Irish Wolfhound puppy for extra-long walks, and I bathed the Chihuahuas this morning. I’m thinking I might cook out tonight, but I might try to mow a bit. On the other hand, the forecast calls for a cooler, breezy day tomorrow, so I might spend more time outside then. In any case, House Barron is at peace. 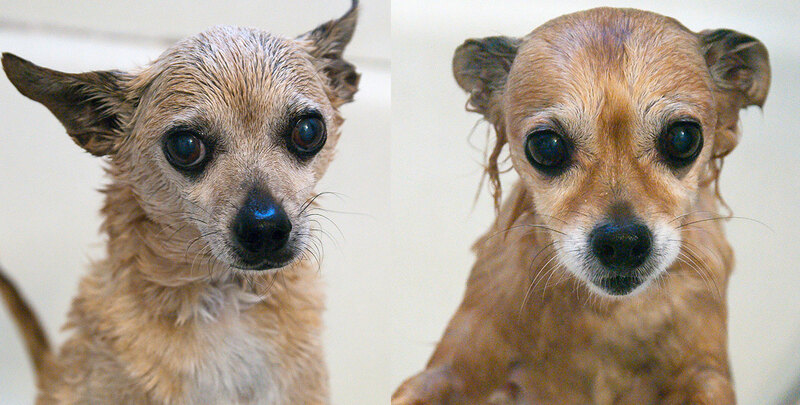 Max and Sierra, the Chihuahuas, had baths this morning. They don’t love bathing, but they accept it. I think they look like drowned rats when they’re wet. *I* think they look like shampoo commercial models. To be fair, they look like rats when dry too. But so did our ancestors, so I don’t mean anything hurtful by it. Glad you had a peaceful weekend. Also, this is my current favorite photo of Abby and Hawken together. I think they both look beautiful.